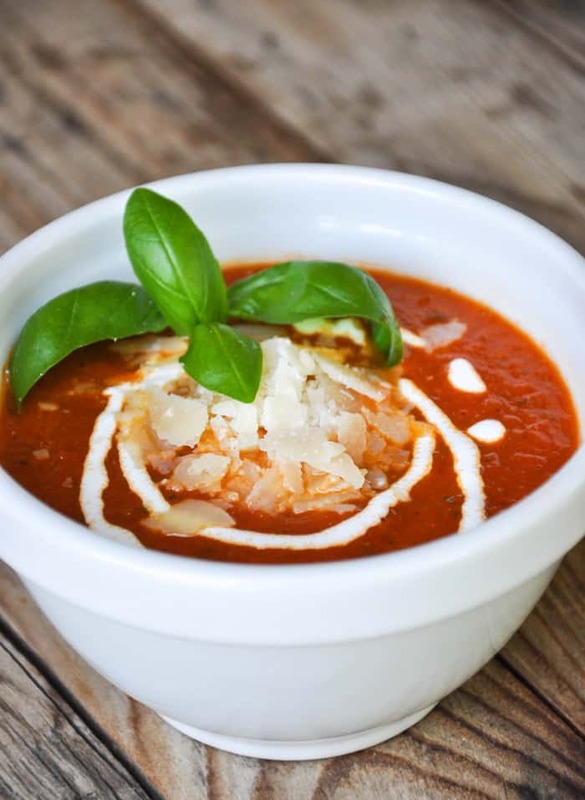 Healthy, hearty and full of flavor, this wholesome tomato soup is the epitome of Fall flavors and fresh aromas while simmering in the kitchen. Soups really are easy to make. Sometimes I forget how easy and relinquish my cravings to a can. “But why?” I ask myself after I make a batch of homemade soup and remmeber how easy it is…. and how much better it is. Not only better, but much more nutritious! No added preservatives and gobs of salt here! This particular soup boasts an ingredient list that is not only simple, but you probably already have them in your house right now! 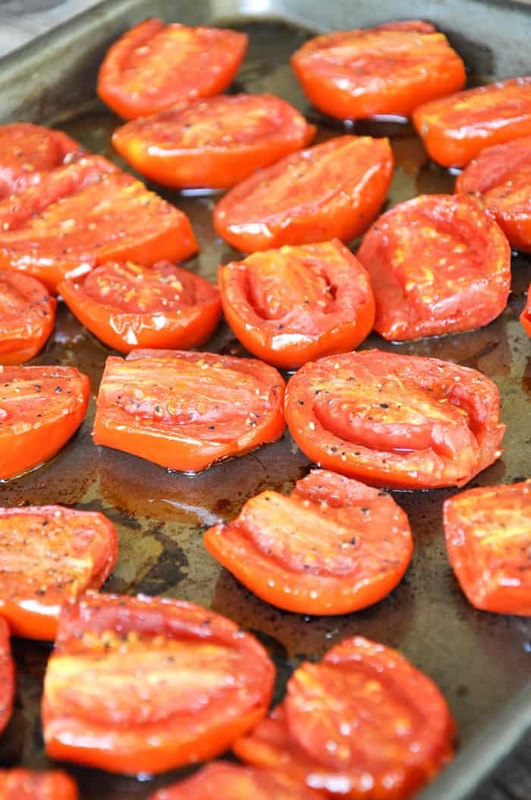 The one exception might be the tomatoes…. 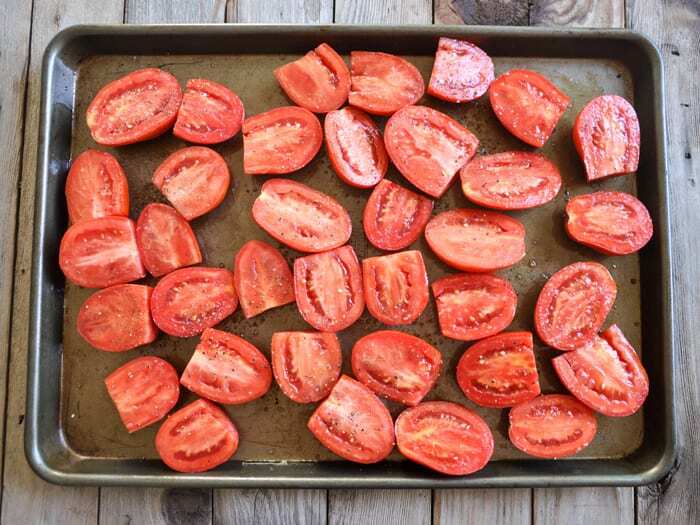 I highly suggest using fresh, ripe, red California tomatoes. They do make a difference. I used tomatoes direct from my brother’s field (perks of a farmer’s sister). He grows canning tomatoes, but they are ideal for making this soup and even salsa. They are similar to a roma tomato in size and color. Yum! 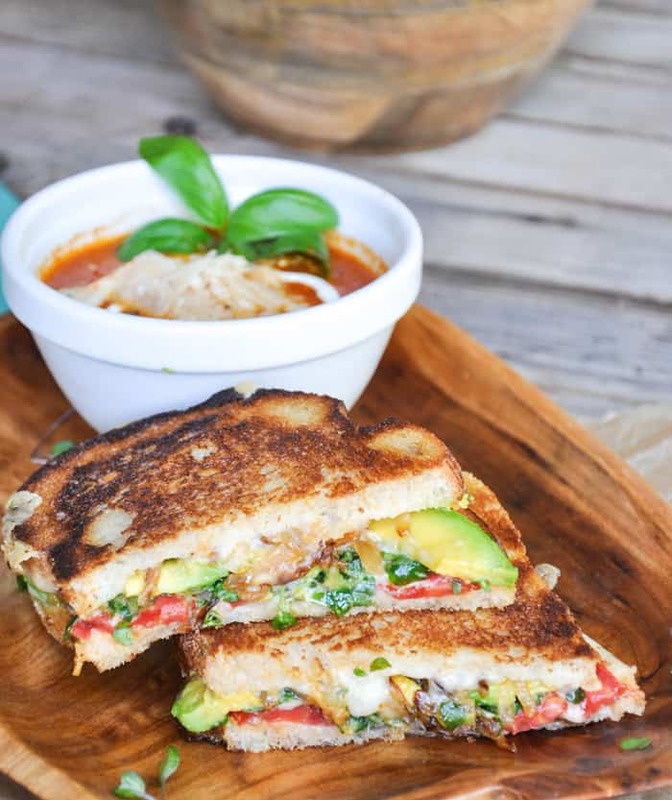 This soup goes perfectly with the Garden Grilled Cheese I posted last week. Pssst…dunking is required. 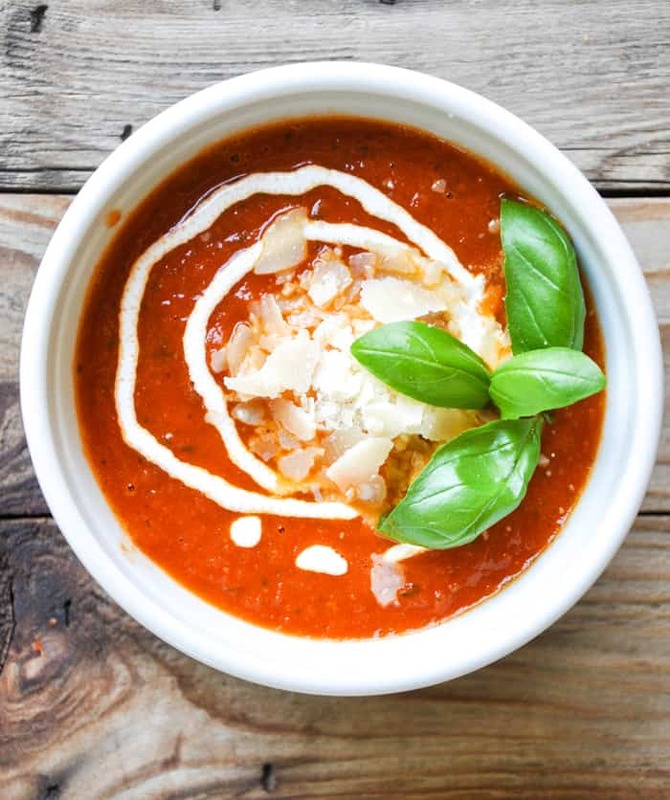 The key to the great flavors in this beautiful soup is the roasting of the tomatoes before adding to the soup. Just pop them in the oven for 45 minutes to impart a savory, distinct flavor. I topped mine with a spiral of sour cream, a mound of parmesan and a sprig of basil! Here is the recipe for ya…. 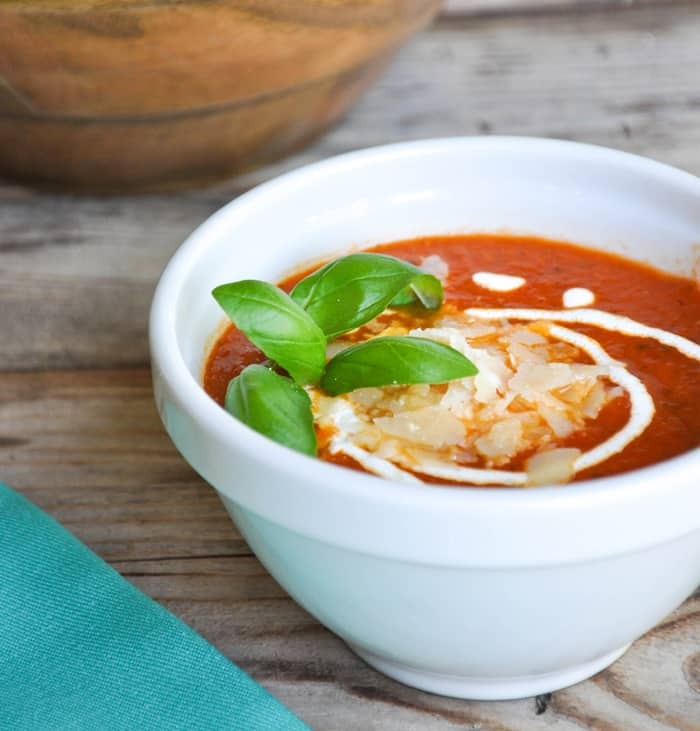 Healthy and hearty, this soup is sure to be a favorite!